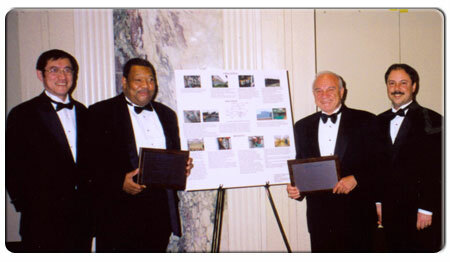 At the 2005 Awards Ceremony at the Waldorf Astoria Hotel, Concessi Engineering, P.C. received two "Award for Excellence" by the American Council of Engineering Companies of New York State. They were awarded the Diamond and the Gold Award. Robert Concessi - Concessi Engineering, P.C. Completed in 1963, the MetLife Building at 200 Park Avenue had a deteriorated Cooling System with insufficient capacity. The replacement of the 42 year-old Cooling System presented several challenges for Concessi Engineering. 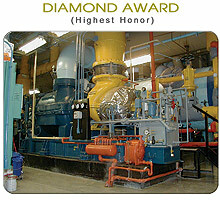 The three original steam-driven 3,333-ton chillers were installed from the outside when the building was being built. Three new steam-driven systems with environmentally friendly refrigerant were designed and installed. The engineers had to determine a feasibility path and procedure to rig the new equipment from inside the building. The installation was performed with no disruption of services and achieved added capacity and improved reliability, and maximized energy conservation. New 3-cell, 2250-ton Cooling Tower, Time Warner. Provided added capacity to existing 32-story, First Class, Landmarked Office Building. Project required replacement of existing Tower System with no "down-time" for the fully operational 24/7 Building. Careful coordination and strategic planning resulted in a successful installation within budget and time constraints. 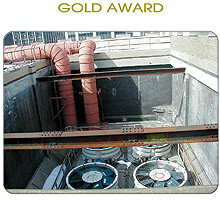 In 2004, Concessi Engineering received the GOLD AWARD FOR EXCELLENCE from the American Council of Engineering Companies of New York (ACEC) for the Design of a Geothermal HVAC System for G.W. Hewlett High School, Long Island, New York. Mr. Sam Zheng, Project Engineer, Mr. Merrith Knight, Senior Project Engineer, Mr. Pasquale R. Concessi, Principal, Mr. Robert L. Concessi, Project Manager. This Project included a complete new HVAC System for the 164,000 square foot existing facilities and 40,000 square foot new addition. Click here for details.